Hey m'lovelies, Over the last few days I have been purchasing a few bits and pieces that I am excited to share!! Enjoy. I have been meaning to buy one of the anti-stress colouring books for quite some now, I really like how simply the idea of colouring in!! I purchased this of of Amazon and I love it!!! 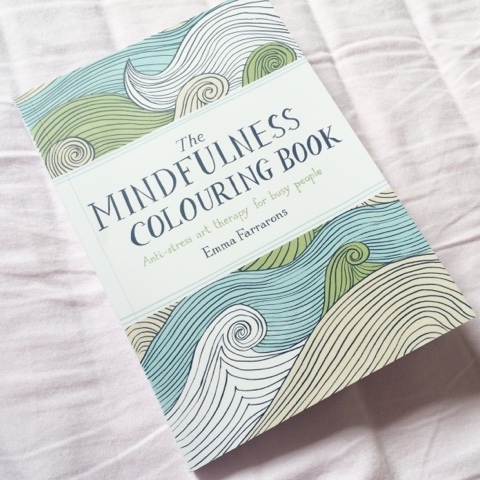 The pictures are somewhat kid like drawn which makes colouring them in very easy to do. Both of these items were purchased of Feel Unique. Since my holy grail Collection 2000 concealer has became extremely popular, it has sold out everywhere. I was recommended Maybeline Fit Me Concealer and Rimmel London concealer but unfortunately Rimmel was sold out. So I purchased the Maybeline FitMe in the Shade 15. I absolutely love it. I would say it is a pretty great match to Collection concealer. It is a great colour as well as really creamy. I will definitely be purchasing again. Like the book I have been wanting to buy some sort of Make-up sponge for a while. Since I have been watching quick tutorial on Instagram I have seen a lot of them using a sponge. 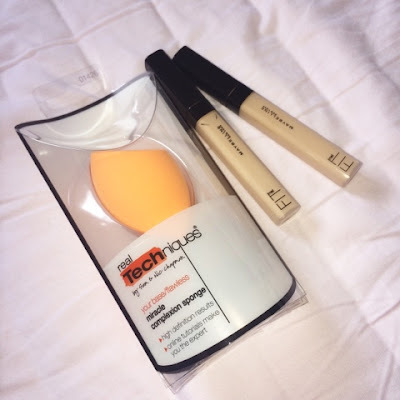 While purchasing my concealer I picked up the Real Techniques Miracle Complexion Sponge. I bought this so I can get a feel for it and see if I like it as I am looking to buy a Beauty Blender.However I really love how it makes me make-up look on my face. It applies both foundation and concealer perfectly. Fashion wise I went into Next. As you know I am going way to America in the summer and I have been picking I few items up as I go. I was given a £15 Next gift card as a gift so I thought I would have a look. 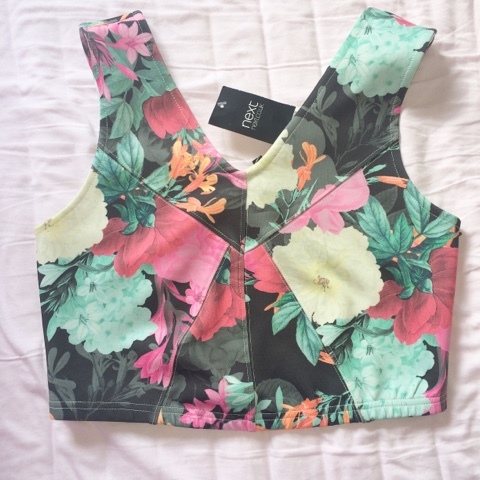 I picked up this super cute floral crop top.I really love the colour and thought it would be perfect for the summer, I thought this would be perfect for night time meals but It can be worn everyday or can be dressed up. 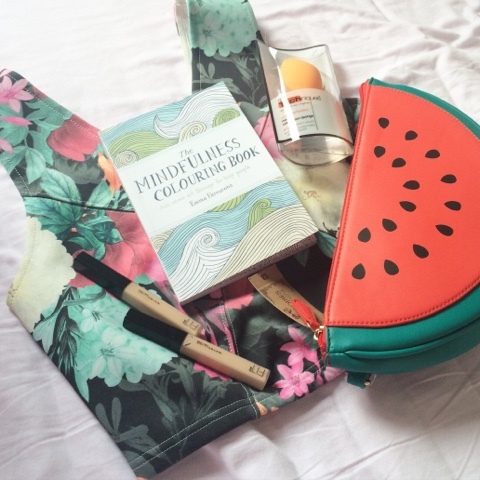 Last but not least, This super fun Watermelon clutch bag. Since working at Matalan I have picked up a few things over time. But this has to be my favourite. 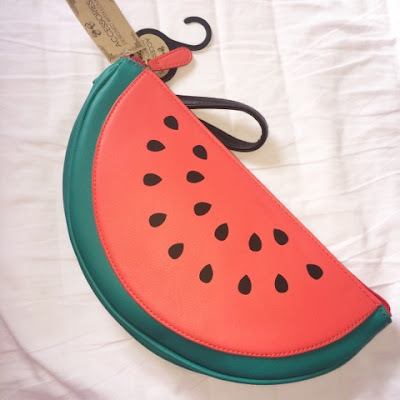 My favourite fruit in the summer is Watermelon so I feel in love with this.. How cute is it?!? The clutch was £8 but I did get some staff discount. I think this would be a perfect cute bag for a summers night. I seriously can't wait to use it. Hope you enjoy this haul!! I am super excited for my holidays so expect lots of holiday post! What are you favourite shops at the moment?